Herod was the one who had John arrested and bound in prison on account of Herodias, the wife of his brother Philip, whom he had married. Herodias harbored a grudge against him and wanted to kill him but was unable to do so. 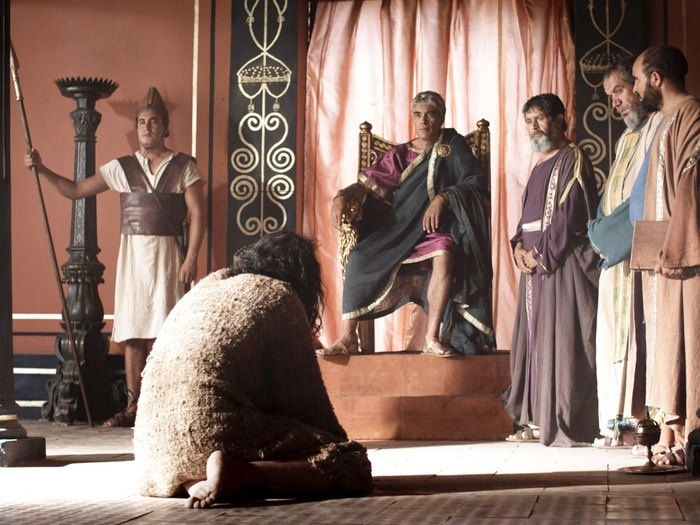 Herod feared John, knowing him to be a righteous and holy man, and kept him in custody. When he heard him speak he was very much perplexed, yet he liked to listen to him. She had an opportunity one day when Herod, on his birthday, gave a banquet for his courtiers, his military officers, and the leading men of Galilee. Herodias’s own daughter came in and performed a dance that delighted Herod and his guests. The king was deeply distressed, but because of his oaths and the guests he did not wish to break his word to her. When his disciples heard about it, they came and took his body and laid it in a tomb.” -Mark 6:14-29.